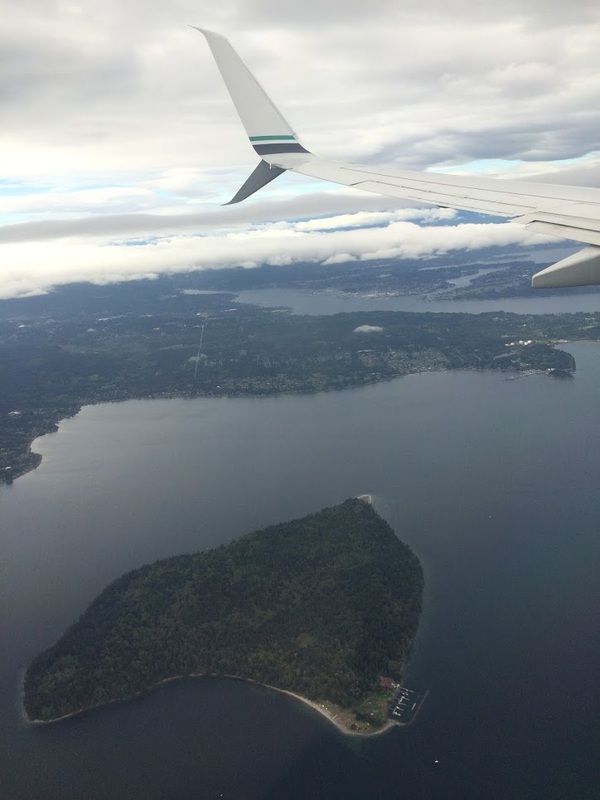 After taking a few days off from the blogging world, traveling to my new future home in Seattle and to my childhood home in Chicago, a lot happened. I also want to take a second and thank my awesome blogger friends who took over for me last week. Shout out to Molly, Lauren, Katie, and Mattie! I’m so glad you all enjoyed them as much as I do! Dave and I got back home late Saturday night and truthfully, I’m still in vacation mode so here’s a quick little recap of the last week. One of our roomies got a new puppy! This is Bear. She is tiny and sweet as pie. This pic is a little blurry but she moves around so much it’s hard to catch a good pic of her. But you get the gist, she’s freaking adorable! I love aerial shots from the plane and this is one of my faves I’ve taken. Such a cool shot of the Space Needle. So as you can see I have a lot I want to blog about in the coming days 🙂 Hope you all had a good past week and weekend! See you guys tomorrow! That is one crazy adorable pup! Maybe borrow her for runs? I would be too distracted with her cuteness to focus on running! haha plus she hasn’t had all her immunization shots yet so she can’t be out side too much yet. Ah ok I see. Get her running when you can 😀 My family just got a chocolate lab and I can’t wait to take him running! chocolate labs are perfect running buddies! if i ever get a dog it would be fun to take it for hikes and runs for sure! My puppy currently has some joint issues so he may only be able to run after he’s had surgery. I’m so excited to make him my runner dog once he’s better! That puppy, o my goodness! Makes me want another one #mustnotactonthisimpulse! 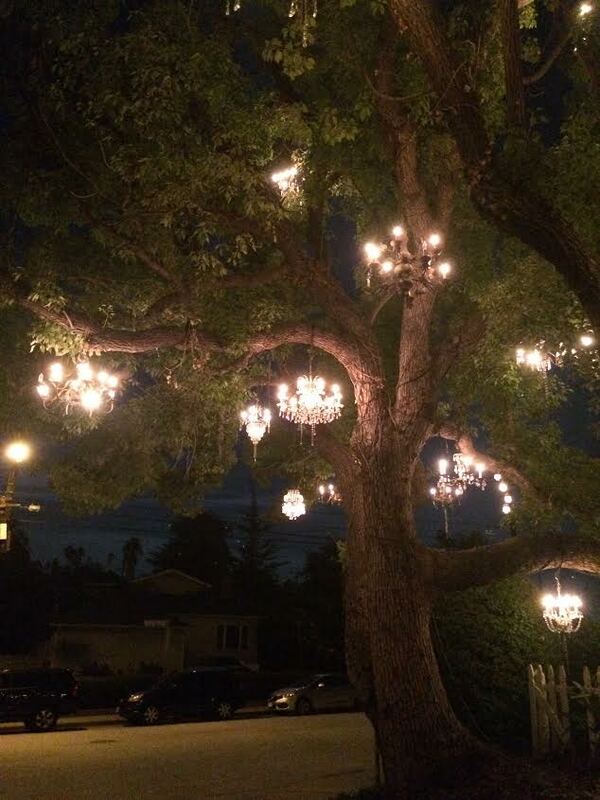 The Chandelier Tree makes me want to visit Cali asap! 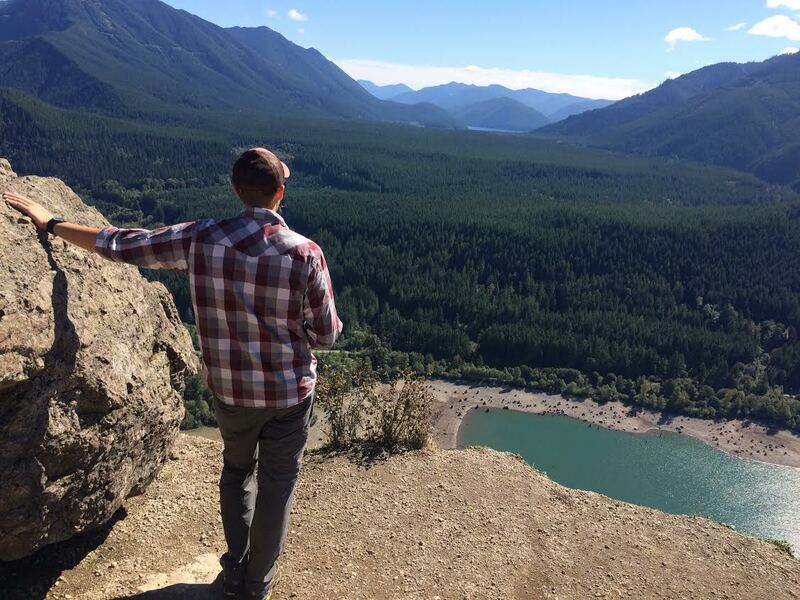 I’ve also heard fun things about the Rattlesnake Ledge. Oh. My. Goodness. I want that precious puppy!!! Also, how was RPM!?!?! Thanks Hanne! I’ve got to get back into my blogging groove I feel like I’ve been away forever! haha how do you do it and keep up with all your traveling?! That puppy is soooo adorable! Can’t wait to hear about everything! I hope today isn’t too rough on you! I’m going to try to sit down today and write about my last week. I’m in the middle of moving which as you may know, takes forever and is so tedious!! That chandelier tree is gorgeous!!! totally agree! I saw it online and it was so awesome in person! That puppy is the cutest thing EVER! Glad to hear your trip went well. And that tree looks so neat! I was hoping you were going to say that was from your Chicago leg of the journey ha Oh well. Chicago has so many cool little things too though! I love all the new murals that have been popping up. I need to get back there and photograph them! Your dog is so cute too! I’m a sucker for a puppy though! How was RPM? I so want to go!! Looks like you have been busy, busy. That puppy is beyond precious! 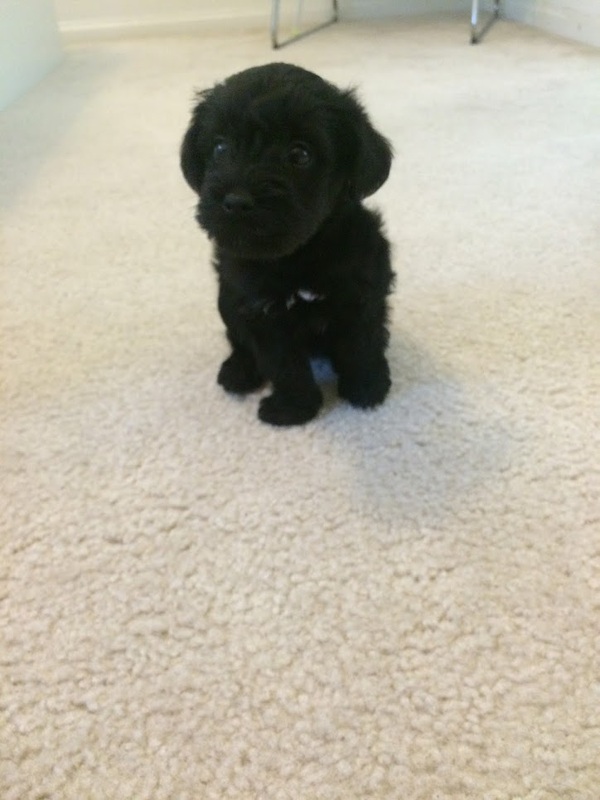 The dog….oh my gosh I just want to cuddle with her!! Sounds like a great trip visiting your new home and your old home. I can’t wait to hear about your move! i’m currently in the middle of packing starting yesterday and it’s been crazy busy for sure! that’s why I’m so behind on blogging and commenting! Ahhh adorable puppy! 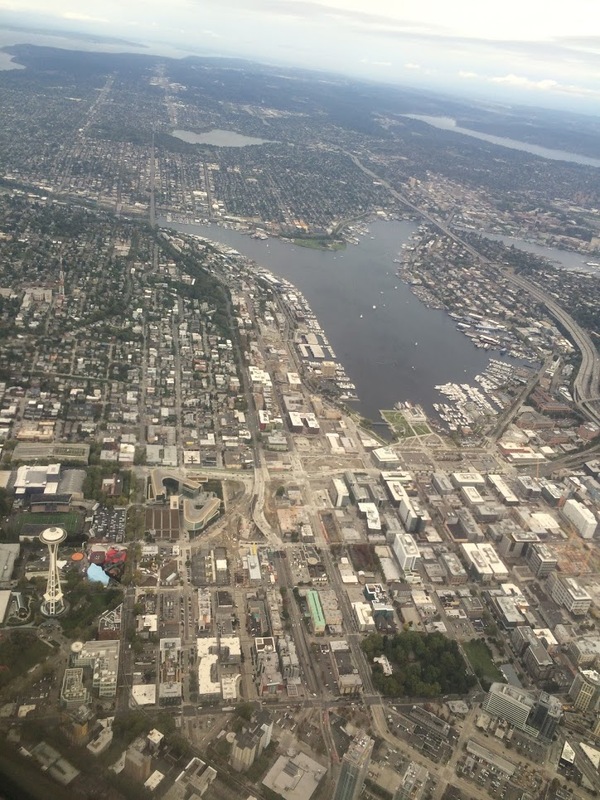 I love the view flying into Seattle. And so weird, a girl I know hiked Rattle Snake Ledge this weekend and it was the first time I remember hearing of it! We should totally do the rattlesnake ledge hike together it’s great! and your dogs would like it too (if you take them hiking) i saw a bunch of dogs! Omg, that puppy! I am dying right now. Awesome picture from your hike! That place looks beautiful. And what is this chandelier tree?! That is crazy! Thanks Megan! I’ll have to look up the history behind the chandelier tree but it is so cool! I heard lots of people propose there too, what a pretty setting! The chandelier tree is so pretty!!! And of course a cute puppy makes every Monday better 🙂 Welcome back! thanks Kylie! Trying to get back into the swing of things!